What are the best 5 link building practices for the year? Link building has undoubtedly become the significant element of SEO. It’s importance can be seen from the impact it brings on the website through ranking and prominent link placing that will help your site rank high in search engine, it even helps you promote your brand. The first step in link building to boost the search engine to earn consistent links. Building linkable asset refers to creating exceptional content that will be appealing enough to generate links. The content on your site should be excellent and link worthy in order to get on the search engine and get high ranking. 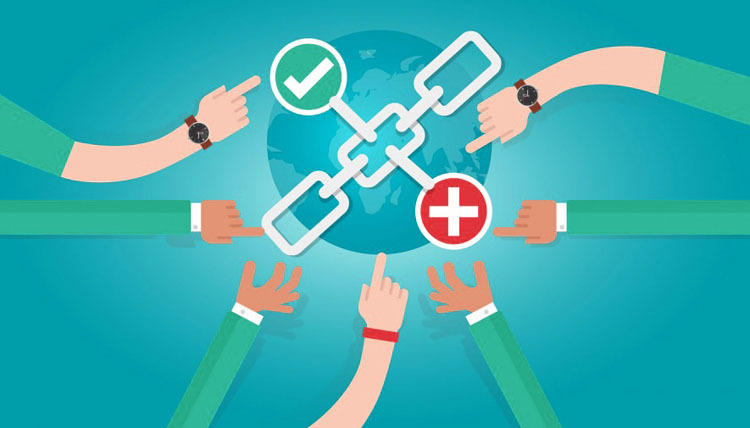 Another step in link building that can yield great results in link building is broken link building. Broken link happens when one website is referenced and linked to your site that’s no longer existing and that’s a bad experience for the users. This, of course is something every web developer is looking for a way to fix and remove the negative experience. It’s essential to find your broken links using tools like Moz or Ahrefs. As you find the broken links, you need to reach out to the webmaster and offer them another link with replacing it with an updated link to use instead. The skyscraper technique is a modern practice for link building based on finding a piece on your niche that’s already published and is well received and looking for a way to create a great content with a similar message. After creating the content, the next step is reaching out the targeted audience that have already linked to the pervious content. This technique is a proven technique that works well. Once you’ve done it right, it can work well and gain more success. This technique is similar like linkable assets. Building educational resources is a great and efficient way to attract educational institutes such as schools, universities to your website. You can do it in number of ways such as building educational videos, tutorials or other content to provide education service rather than promoting your brand. Once you’ve chosen the universities to approach, ask them if they would like to include on the resource page. Guest post write ups will never get old. It’s one of the useful and popular tactics that can be used to generate backlinks, get traffic and build relationship with the bloggers to achieve the desired results. There are many website looking for guest bloggers for their website and you on the other hand is looking for someone to feature your content on a popular blogging site. This will promote your content and will drive traffic on your website. Link building and SEO work hand in hand. Real link building is not everyone’s cup of tea, it’s always been hard. The backlinks you generate tells the search engine that your website is relevant and valuable enough to drive audience to your website and gain ranking in SERP’s. Most importantly, concentrate on producing good content and approach link building in a proper manner and the effort will pay off in the face of higher search ranking. Lara was born and raised in Singapore. She is presently working as a content contributor at best SEO Agency in Singapore. In leisure time she likes to read and write blogs and catch with new trends and technology. What are the best 5 link building practices for the year. Which will help you all to get quality traffic on your site or blog.